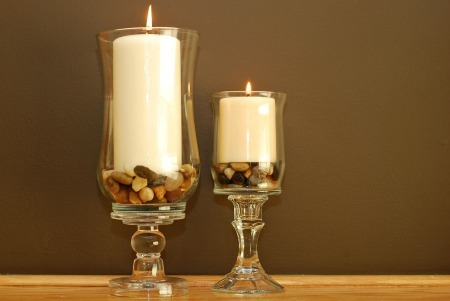 Candles have a way of adding instant ambiance to any room, but fancy candle holders can be pricey. 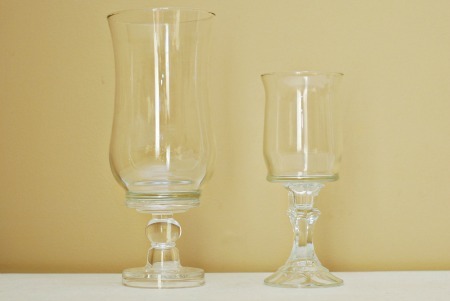 Save your wallet without sacrificing on style by making your own hurricane candle holders! The best thing about this DIY project is how simple it is to accomplish. The second best thing is how inexpensive this project can be! 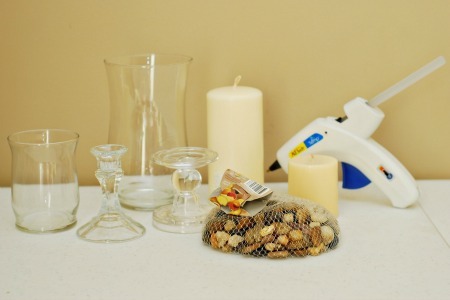 Most of the materials can be found at your local dollar store, which makes this DIY both easy and affordable. 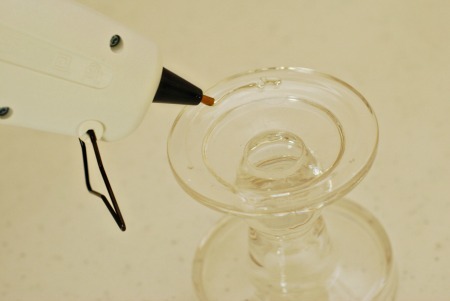 Plug in the hot glue gun and run some hot glue along the top of one of the candlestick holders. 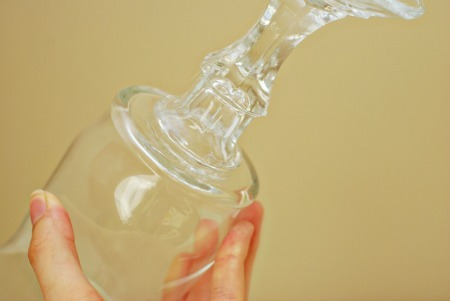 Center one of the vases on top of the candlestick holder and press it to secure it in place. 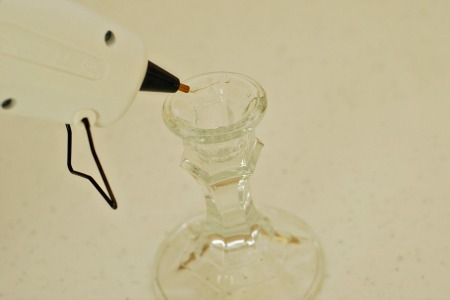 Repeat the process by gluing the top of your second candlestick holder. Center the second vase on top of the second candlestick holder. 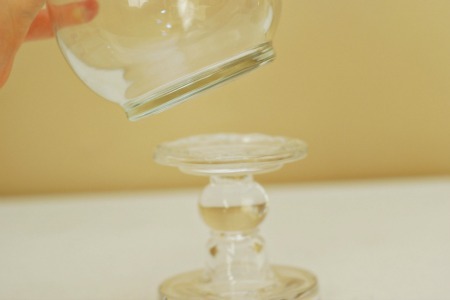 Set your two candlestick holders upright to dry. 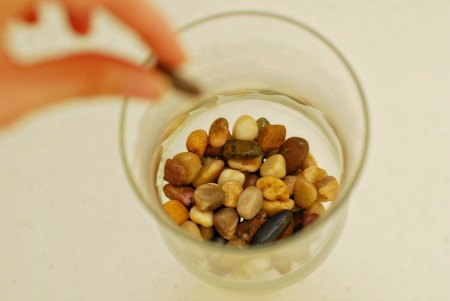 Pour a layer of the decorative stones into the bottom of each candle holder. Add the candles, light them and enjoy your instant ambiance! This project was originally inspired by Dollar Store Crafts.